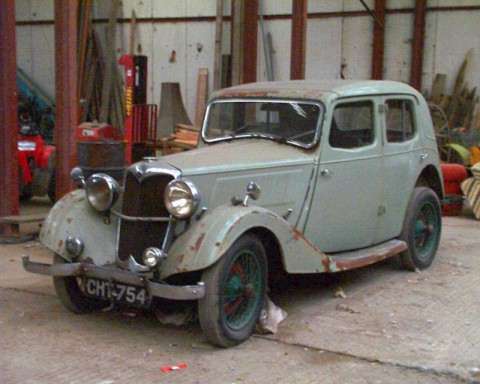 The Falcon was relaunched on the new 1½Litre chassis for 1936, but not yet with the new Briggs Steel Body. This mass-produced body was bought in by Riley to try and reduce costs and increase quality. It managed both, but caused the company a lot of other problems as well. However, whilst it had been closely modelled on the 1935 Falcon style, it was curiously not used for the 1936 Falcon. Instead, the Falcon was revised and saw detail changes to try and move it away from the Briggs Bodied Merlin. The model remained popular throughout 1936, mainly because for the first few months it was just about the only body available on the chassis, due to delays with the other new models, but was slowly replaced by the Adelphi as the customers favourite Saloon. In total, somewhere around 800 were built, with around 250 of those built before serious production of any other models had started. 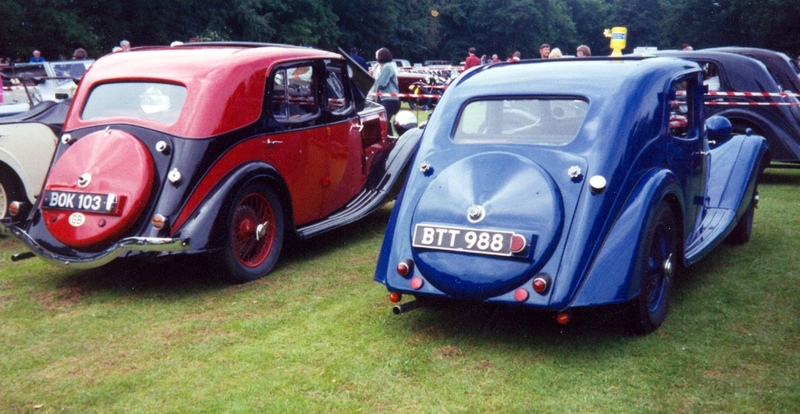 For 1937, the Falcon did receive the new Briggs Body.